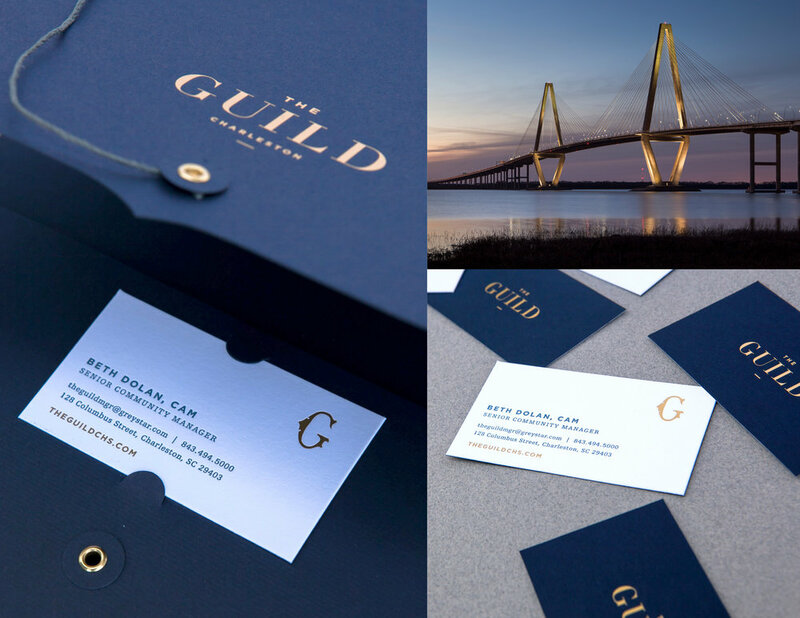 Charleston is growing at a rapid rate and we have loved the opportunity to grow alongside it. One recent building project has been up close and personal for us - since we can literally see it from our parking lot. Our neighborhood's landscape is changing and one of the biggest positives is the development of Courier Square and within it, The Guild. 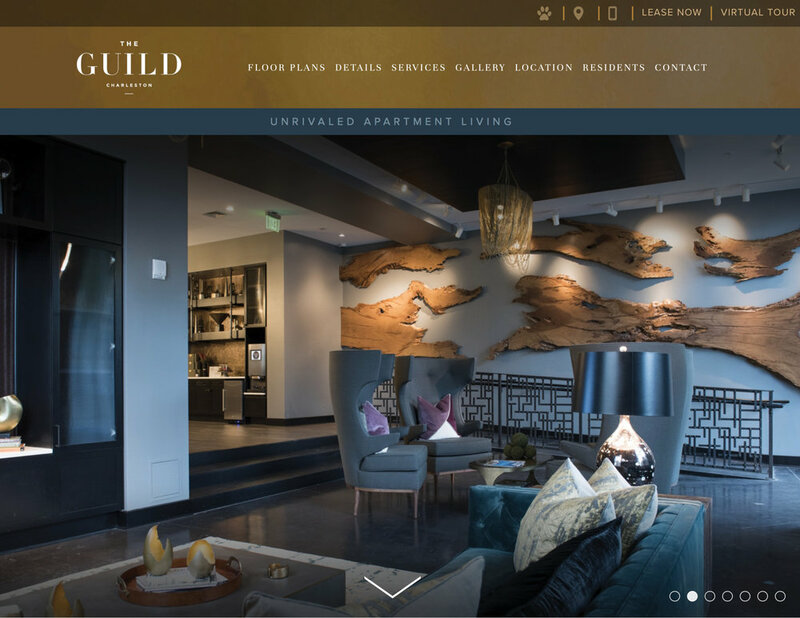 The Guild is the first of its kind for apartment living on the peninsula. The unrivaled apartments provide its residents a high-level of hospitality and amenities including a rooftop pool and concierge service. The building also includes ground level retail shops and restaurants. The property is being developed by Greystar, and LS3P, Robert A.M. Stern Architects and DesignWorks have all been engaged as design and consulting architects. Through hardhat tours and deep-dives into architectural plans, our team developed the creative strategy and brand messaging for the luxury living apartments. From there... the designs began, including signage, ad campaign, website and corporate identity. 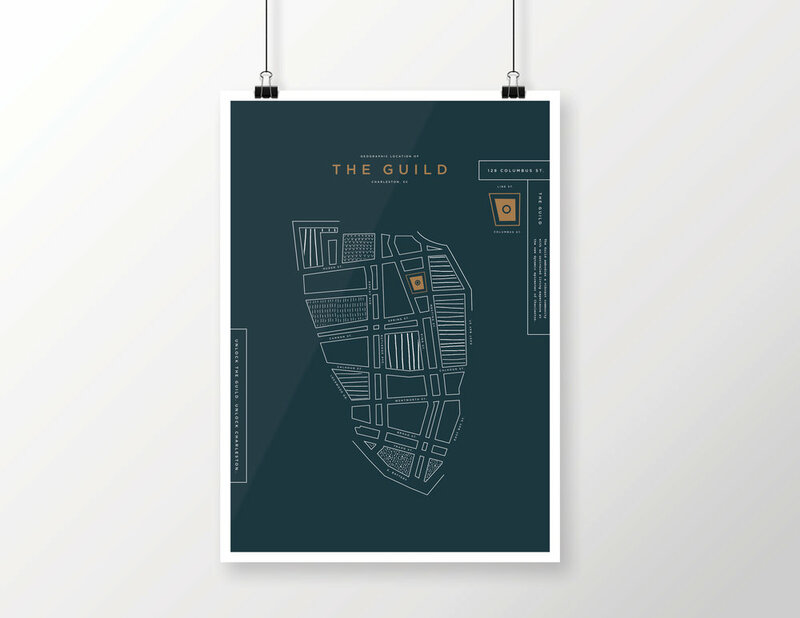 We also collaborated with 42 Pressed on a custom map of Charleston featuring The Guild's location. Now, its time to Live The Guild. We can't wait to watch the impact this community has on our hood. Onward + upward!